Detailed demographic analyses may be used in program planning and improvement efforts by local workforce boards, state agencies, community and technical colleges, policy analysts, and other workforce system stakeholders. The map below is supported by a Council research study that focuses on the mature worker population. This report was updated in 2017. Entitled Mature Workers in Texas: A Demographic Study, this report provides information about mature labor force participants in Texas, specifically those 55 years and older. 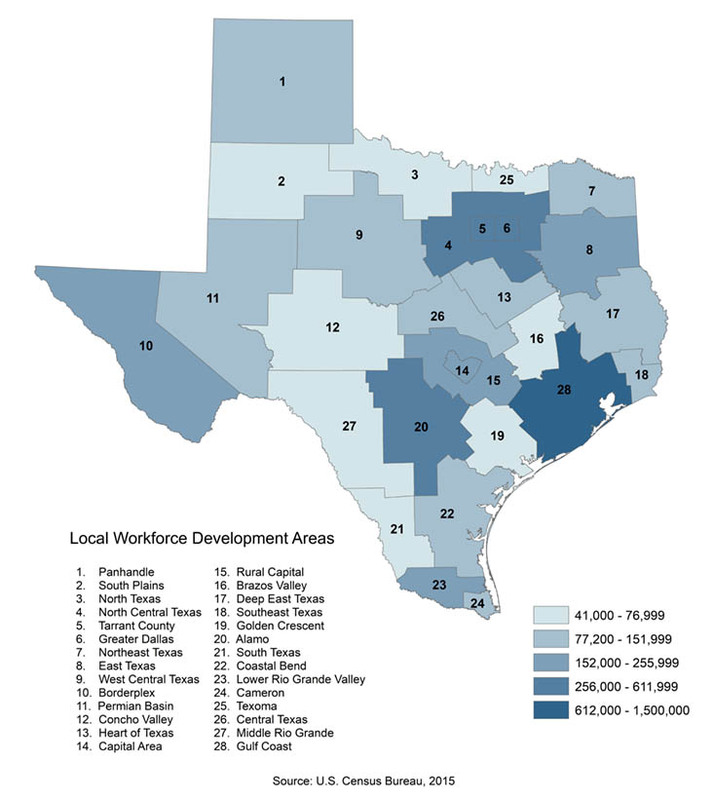 Click on the map below to view an interactive file with links to demographic data for each Local Workforce Development Area (LWDA).